According to tweets from Jane Manchun Wong (via Android and Me), who loves to find unannounced new capabilities being considered for apps, Spotify is testing a number of possible upcoming features. One would allow a user to import his own music from an Android handset to Spotify. Someone with stored music not found on the music streamer would be able to include these songs in his Spotify library of tunes. Another change that @wongmjane sees is a redesigned Library view. It allows users to swipe horizontally to see songs, albums, playlists and more. 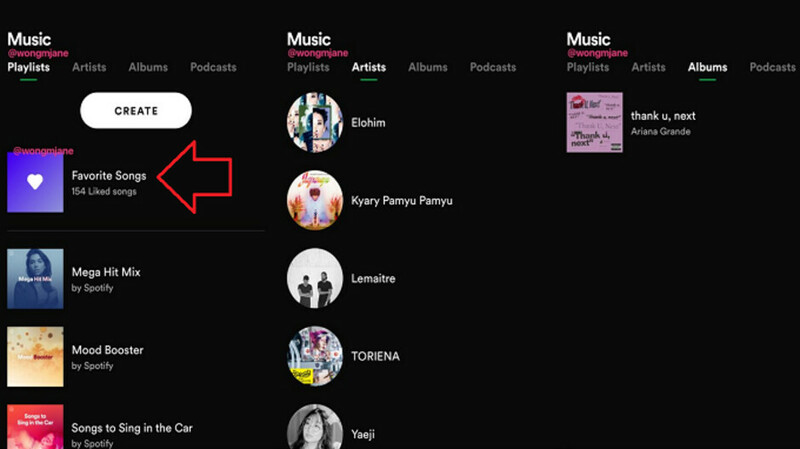 And Spotify is also testing a Favorite Songs playlist; consisting of a user's favorite tunes, this playlist would change over time as the subscriber listens to different songs (see image at the top of this article). It appears that Spotify is also testing a "Saved for later" feature that allows a subscriber to save a Podcast and listen to it at a later time. Also being looked at is a change in the music streamer's UI. With the change, users interested in seeing a Podcast episode menu will tap on a button to go to a separate page where the menu will be listed, making it easier to read. None of these changes has been officially announced by Spotify, but we could see them roll out in the not too distant future. How when Apple and Google do the same thing?